Wonderful beaches, crystal clear waters and magnificent coasts. Secluded, charming and suggestive coves, perfect for diving lovers. Landscapes and views not to be missed. 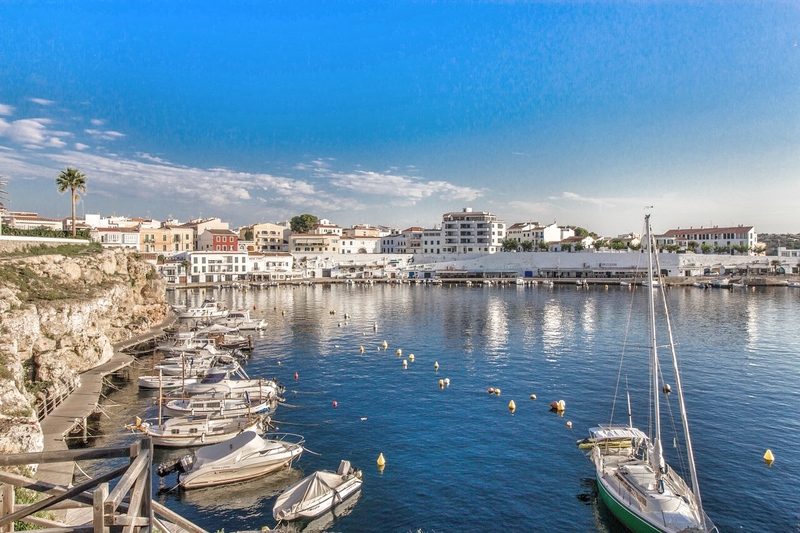 Welcome to the island of Menorca, an authentic jewel set in the Mediterranean Sea! A real natural paradise, declared a UNESCO biosphere reserve. Less party and artificial Ibiza and Palma, but certainly not less lively. The island is of an indescribable beauty, in which we pass from the white and long beaches, to the pinewoods, to the marine natural reserves, up to the terrestrial caves; all this, embellished by a sea with an incredible blue-green color. Fantastic landscapes await you in Menorca. An island where you can breathe the influence of the people settled over the years: Romans, Muslims, and English. From this point of view, Ciutadella represents one of the highest expressions. You can stroll through the cobbled streets and admire its extraordinary colonial architecture. Do not miss the delicious market that sells fresh local fish. Menorca is the right mix of relaxation and fun. The ideal place to spend evenings among its lively bars and restaurants. Maybe, sipping a glass of Pomada, in front of a wonderful sunset. The areo is the fastest, most convenient and, probably, economic solution to reach the beautiful island of the Balearics. The airport of Mahon, not far from the capital, is connected with direct flights to the main European destinations. Air traffic is limited, almost exclusively, to the seasonal period, concurrent with the summer holidays. Once you reach the airport, outside the terminal, the 10 bus allows you to get to the center of the capital. Buses leave every half hour. The ticket costs 2,65 € per person, and is paid directly on board the vehicle. Trasmediterranea, Iscomar and Balearia guarantee numerous daily connections, with crossing times starting from 90 '. From Barcelona, ​​Valencia and Mallorca ferries leave for Ciutadella and Mahon, the two ports of the island. The crossing, from Alcudia to Palma de Mallorca, takes about 2 hours. The connections are quite frequent. From Barcelona, ​​numerous high-speed connections are guaranteed to Ciutadella and Mahon. From Valencia, on the other hand, every week the ferry departs from which you can reach Menorca in just over 11 hours. Obviously, in July and August, in general, it is very difficult to find tickets available. Especially for those wishing to embark their car. The advice is always to move well in advance, so as to take advantage of even more advantageous rates. Through this link, instead, you can book your flight at the best price.